I told you it was far less catchy. But to my point, there are numerous ways for businesses and brands to create effective engagement using mobile. These include SMS (short messaging system aka texting), mobile applications, mobile websites, QR codes and SnapTags. There are definitely more than these five, but for the purposes of this exercise, we’re going to focus on these. SMS isn't just for clamshells anymore! How does texting work? Text messaging works by sending packets of data (information) over cellular networks. You send a message that is delivered to your wireless carrier’s message center. From there it’s processed through several switches until it’s received on the recipient’s device. Along the way, it picks up and shares crucial information about the sender, the sender’s location, timestamp and other data, which can be utilized to track data sent over the network. Targeted. The beauty of text messaging for brands, is that users opt-in, only when they actually want to receive messages, information and alerts. Thus, the mobile mailing lists your brand creates, consists of motivated users who have identified themselves as tuned-in members of your brand’s tribe. Simple to Integrate. Adding a few lines of text, with a mobile call-to-action, to your current marketing tools is a simple way to expand the breadth and depth of your brand’s current marketing efforts. Unobtrusive. If you’re like me, you look at your phone whenever it’s convenient. You don’t necessarily respond to every beep or buzz at the moment you’re notified. 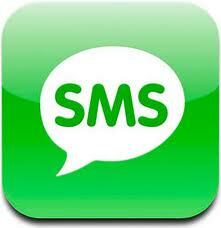 SMS allows you to collect messages, review and respond at your leisure. Permission-based. Unlike email lists, which are freely shared, bought and sold, mobile is an extremely regulated industry. Mobile marketing companies can only send messages to users who have specifically opted-in to receive messages from the particular brand that acquired their number. Frequency. Sometimes brands send out too many messages. At other times, too few. Without being able to ascertain the messaging appetite of a particular user, your message frequency may not match that of the intended recipient(s). Delivery failure. No system is infallible. SMS is no different. Between users traveling in and out of locations with low/no signal strength, to mis-entered phone numbers, to users switching between providers (but maintaining the same number), there are any number of causes for failed delivery of messages. Opt-in Requirements. Since you can’t communicate with your audience across their mobile devices unless they’ve opted in, getting users to opt in to your service in the first place can be challenging. Apps, apps everywhere, and not a bite to eat! What’s a mobile app? A mobile app is an internet application that runs on smartphones and other mobile devices. If you own an iPhone, Blackberry or Android, you’ve probably already used the App store, and have a few apps already on your device. Other device manufacturers, like Nokia, Samsung and Motorola, all have their own version of apps that run exclusively on their devices. How do mobile apps work? Mobile applications work by connecting users to Internet services that are typically accessed from their desktop or notebook computers. 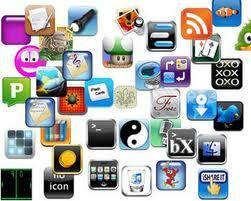 Mobile applications also make it easier to use the Internet on user’s portable devices. On-deck. Having an app directly on a phone’s dashboard or dock, is a convenient way for a user to access your brand. When an app is ‘on-deck,’ it provides both utility and convenience within a few clicks. Targeted. An app is typically a scaled down version of a brand’s website, focused on the few interactions a brand is interested in driving through the use of mobile devices. Well-crafted apps provide baseline information and functionality, taking advantage of the native features and functions of the mobile device. Too many apps. There are over 1 million apps in the iTunes App store. There are almost 400,000 Android apps. Making your brand stand out among all these apps can be daunting. Getting people to know that your brand has an app may also be challenging. Spotty performance. Some apps work great. Others work well. Some work poorly, and a few make us want to throw our phones against the wall. Getting your app to perform right every time is also very difficult to accomplish. Platform specific. If you’re thinking about a multi-platform app strategy, it’s going to cost you because the app you develop for one device, invariably will not work on another device. If you want to cover the widest range of devices, you’ve got to have a multi-platform approach. What’s a mobile website? Simply put, a mobile website is a site capable of being accessed and rendered properly on a mobile device. As distinguished from a standard website, mobile sites are scaled or designed to take advantage of the features mobile devices and mobile browsers. How do mobile websites work? Mobile websites work in much the same way as standard sites. Enter a URL into the mobile browser of your device, and you’re taken to the site you’ve requested. But rather than being presented with the typical layout you’d see on a standard web page, you’ll probably have a list of tabs, finger-sized buttons and navigation options formatted for your mobile phone. Made for mobile. The beauty of mobile sites is the fact that they’ve been optimized for small screens, and enable users to access a wealth of content on-the-go. User-interaction resembles an app. While there are architectural differences between mobile apps and mobile web applications, the user experiences on both interfaces are increasingly similar. Most apps utilize real-time web connectivity and mobile web apps provide offline modes which continue to be accessible in the absence of network connectivity. Navigation. The mobile phone usually comes with a small screen and no mouse. This means that navigation on a mobile phone may get difficult for the user, even if it has a touchscreen. Interoperability. Sometimes things just don’t work wel together. Interoperability issues stem from the multitude of competing mobile devices, mobile operating systems, and browsers, developed by the various handset manufacturers, chipset makers and software developers. Usability. Usability relates to how easy it is to use a thing. Usability problems are presented by the small physical size of the mobile phone form factors (limits on display resolution and user input/operating). 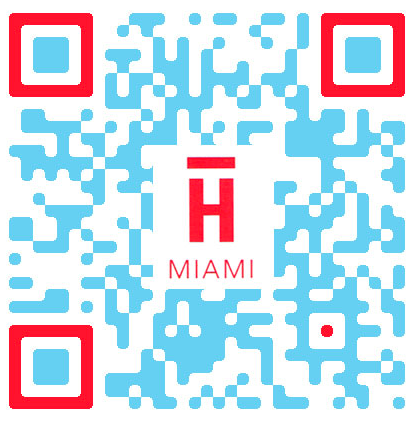 This is an example of a branded QR code. Looks nice doesn't it? What’s a QR Code? A QR Code is a two-dimensional barcode consisting of black modules arranged in a square pattern on a white background. The information encoded can be made up of four standardized kinds (“modes”) of data (numeric, alphanumeric, byte/binary, Kanji), or by supported extensions virtually any kind of data. How do QR Codes work? Users with a camera phone equipped with the correct reader application scan the image of the QR code to display text, contact information, connect to a wireless network, or open a web page in the telephone’s browser. Use of QR codes expanding. Initially, the adoption of QR codes was slow, especially in the United States, where various standards exist. But the technology is gaining traction in the smartphone market, and many Android, Nokia, Blackberry handsets, have QR code readers pre-installed. Multiple applications. QR codes are used in a wide range of applications, including commercial tracking, entertainment and transport ticketing, product/loyalty marketing and promotions. Free to use. There are any number of free QR code generators, which will create a unique QR code for your brand, pointing to any destination or location you chose. You QR code can open a URL, play a video, send a user a text message or deliver content. All for free! QR Code Error Correction. Through error correction, it is possible to create artistic QR codes that still scan correctly, but contain intentional alterations to make them more readable or attractive to the human eye, as well as to incorporate colors, logos and other features into the QR code block. Requires a QR Code Reader. While many smartphone now have QR code readers installed, many older generation phones, and none of the iOS devices have a native reader application. This may impact adoption of this mobile engagement method. They’re ugly. One of the main complaints that folks lodge against the use of QR codes is the fact that they’re unattractive. Highly stylized brands feel that the black and white block isn’t aesthetically appealing enough to be used with their brands. This diagram lays out SnapTags quite succinctly. It came from their site, so it better! What’s a SnapTag? SnapTags are rings, with visual information aligned in a pattern of bars and breaks, that impacts what content is accessed by a compatible reader app. They have been popularized by Spyderlynk, a mobile activation and marketing platform company. How do SnapTags work? You can either scan a SnapTag with a SnapTag reader or simply take a picture of the snap tag, text the picture to a short code, and receive a code message in return. No reader required. What makes SnapTags unique is the fact that each tag also has a unique short code, enabling people without smart phones to send and receive text messages which will connect them with the associated campaign. 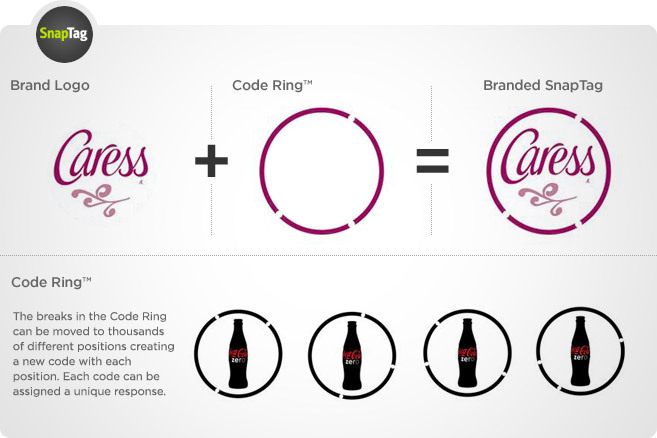 Use your logo. SnapTags are appealing because they use the logo of the brand, which enables companies using SnapTags to take advantage of their pre-existing brand recognition, and not get lost in the shuffle of indistinguishable QR codes. No widespread adoption. While SnapTags are the proverbial “princess” to the QR code “beast,” they have yet to gain any real traction in the marketplace. It’s difficult to project whether brands will adopt yet another mobile platform to engage audiences. Too many steps. For users without smartphones, taking a picture, composing a text message, sending it and waiting for a response, may be too much work to interact with a brand. The rule of thumb with mobile is “less is more.” The fewer steps to connect with your brand, the more likely the user is to take those steps. Ultimately, the appropriate mobile engagement tool is the one that fits your brand’s overall marketing strategy. You may find that some campaigns warrant the use of a mobile marketing built around a text messaging strategy and print calls-to-action. Others may fare the best with an iOS app leading the way. But whatever tool you use, adding a mobile engagement strategy to your brand’s bag o’ tricks is a smart strategy.